In our desire to successfully intersect faith into the workplace, we knew we couldn’t come up with a better model than the one Jesus gave His disciples in the book of Acts when He left them to do the work He had called them to. We view our model of outreach to begin in our plants (Jerusalem), extend into our communities (Judea), expand to influence our culture (Samaria), and ultimately be carried to impact areas of international need (the ends of the earth). Our goal in all of these areas is to build sustainable and profitable businesses that create jobs, allowing us to form relationships with our employees, customers, and vendors through which we are able to offer on ramps to opportunities for life transformation. Areas of potential impact are broad including skill development, leadership training, and emotional health among others but our passion is always to share, with those who are interested, the transformative message of Jesus Christ. 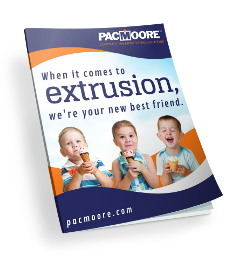 At PacMoore, our first emphasis is always an investment in the lives of our employees and their families in addition to our customers and vendors. We engage each of them to the extent of their desire and need by offering a purposely developed set of options. Our on-site chaplains offer spiritual guidance, support, and family care. We also organize spiritual fellowship gatherings, topical discussions, prayer events, bible studies, and a national day of prayer gathering among other voluntary plant level engagement opportunities that are open to all. We demonstrate our care and concern for the people in our plant communities in a variety of ways. Some of our best employees have come from IDt as we assist this 30 month program that has an established track record of transforming lives of young men and women with troubled pasts. We are also establishing a relationship with The Crossing Educational Center to expand this type of impact. Our employees donate their time, talents, and gifts to local benevolence projects such as Angel Tree and Church in Mission among others. We also assist The Bridge Teen Center which provides support, training, and an affirming alternative to the multitude of negative influences teenagers face. Our leadership is committed to impacting the culture we live in. We intentionally grow our management’s ability in this area through annual attendance at conferences such as the Global Leadership Summit and America’s Best Hope Conference. We also encourage the establishment of young leaders outside our organization through engagement with the John Jay Institute and the newly established Muhabwa Innocent Marketplace Missionary award. This award will be given to 1 of 10 college senior finalists who have demonstrated continual effort to bring people to Jesus and intend to work in the marketplace after graduation, among other criteria. PacMoore’s longest standing international effort is in Uganda where we have employed hundreds of farmers in our amaranth fields. The Marketplace Missionary award described above is named after Innocent, the PacMoore leader of these farms who truly models the virtues and values of that award. In Nepal, Jacob Wheeler worked for us in a variety of roles to identify opportunities to provide jobs and ways to bless the people of this country especially after the devastating earthquake in 2015. One of the largest current projects is an effort in Ethiopia that would provide manufacturing jobs and nutritious breakfast products to the children of East Africa to help them develop the energy and cognitive skills they need for improved growth and maturity.